What are Stables phases of development? Who is the Stables Development Team? The Stables’ Development Team consists of successful local business leaders with significant experience in the real estate, development and automotive industries. In addition, each member of the Stables’ team is a passionate automotive enthusiast. Stables’ strong automotive relationships, financial and real estate development expertise, combined with Atlanta’s unique demographics, make the development of Stables Motor Condos a reality with a strong platform for immediate traction and future growth. What is Stables Motor Condos? 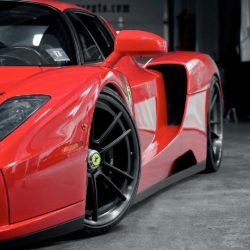 Stables Motor Condos is a private garage/storage condominium facility for car collectors, motorsports enthusiasts, RV/boat owners, hobbyists, or anyone who needs extra space for business or personal storage. The complex is designed as a resort-style country club with 150 private garage condos. 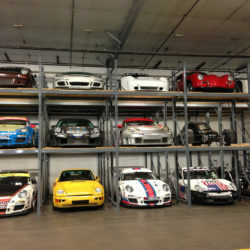 Stables Motor Condos will be the next generation in car storage, purposely built to fit your lifestyle. YES. You are permitted to store your car(s), RV, boat, household items, commercial items, or business file and materials. You may even work on your projects within your unit. However, uses that create excessive noise, dust, hazardous materials or pollutants, or result in obvious fire hazards or negatively impact the reasonable use and enjoyment of other units are not permitted. Absolutely NO outside storage allowed. You’ll get a chance to review and accept the formal, detailed CC&Rs during the purchase process. YES. A wide variety of business uses are “principally permitted,” meaning that no special use permit is required. These range from certain industrial uses, characterized as lower in intensity, cleaner, and that will not generate excessive noise; as well as most office uses, R&D and more — as long as the business has relatively low demands for water consumption, will create minimal traffic and doesn’t require much parking for employees or customers. Other uses may be allowed with proper permits. Full details of any requirements will be outlined in the final CC&Rs. When is the facility expected to be opened? Our target date is Fall / Winter 2019 for Phase 1 Garages. What is the classification of the storage? “Warehouses / Storage buildings” and/or “Offices / Showrooms” – Zoned M1. How many garage condo units will be available? 150 Garage Condos are planned. When can I make a reservations for a garage storage unit? We are accepting reservation now. You may register your interest now via the Register page. 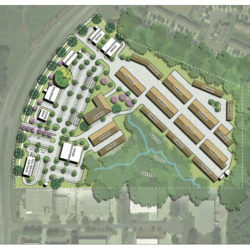 Yes – The complex is being designed with CPTED (Crime Prevention Through Environmental Design) principles. We have a six-foot high fence surrounding the property with a pass through gate. Owners/tenants will be given privacy “code” for 24/7 access. 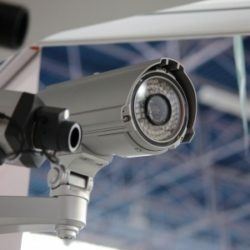 There will be an overnight, onsite security person plus surveillance cameras operate around the clock to record suspicious activity. 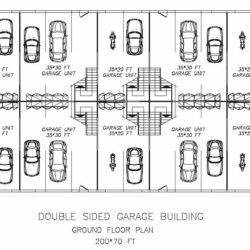 What are the sizes of the garage condo units? 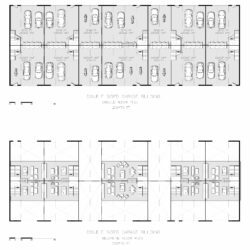 These are spacious floor plans featuring 20’ up to 26′ ceilings plus a mezzanine level in each unit. There are varying sizes: 15’x35′, 20’x35’, 30’x35’ & 40’x35’. 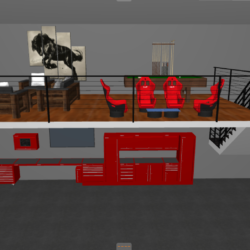 Can I live in my garage condo? No – Stables Motor Condos is not zoned for residential uses and my not be occupied as a residence. These are classified as commercial/industrial-zoned warehouses. Casual/intermittent overnight stay by owners and/or their guests are subject to local ordinances and all living/entertaining spaces such as lofts/mezzanines must comply with local code. Owners will have 24-hour access to their units. Will I own my garage? Yes – at closing, owners receive recorded deed to their condominium unit. How do I buy a private garage? You can reserve your garage with a $5,000.00 deposit that will be held in escrow in your name. A purchase agreement will be prepared based on the unit and specifications that you choose 30 days prior to ground breaking. At that time, a 20% down payment is needed to secure your unit. Will there be a Condo Association? 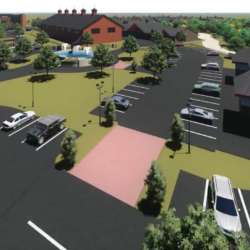 Yes – an Owners Association comprised of a small proportion of the garage condo owners chosen to represent the entire project will manage the condo community once the 50% of the units have been sold.